Numero Uno Web Solutions Inc.
Everest Web Solutions Pvt Ltd.
Based in Toronto, Canada, Lombardi Media Corporation is a holding company that owns a group of businesses concentrated in product fulfillment, direct marketing, customer contact services, financial publishing, health publishing, digital media, and entertainment and news publishing. 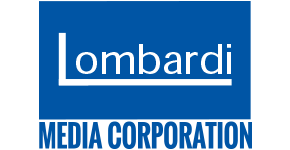 Founded in 1986, Lombardi Media Corporation became a Canadian public company in 1993. In 2007, through a management-led buyout, the company became private again. Each one of the companies we own operates independently, led by its own president and team. Our businesses are built on the strength of our staff and their growth is dependent on how successful we are at helping our customers achieve their goals. If you are visiting this site, we hope you are interested in joining one of our companies (in which case we direct you to our careers section) or you have a business that you may be thinking about selling or growing (in that case, see some of our companies so you can get an idea of the types of companies we invest in and build).